Over his long and inspiring career, the Nobel Laureate Sydney Brenner has made some of the most significant and game-changing discoveries in the field of molecular biology. But Brenners reach has extended well beyond his own research to inspire new generations of young scientists and to promote the development of science and biotechnology around the world. 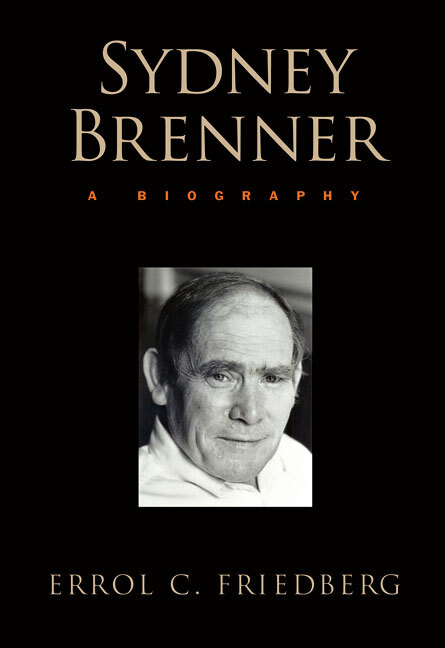 Based on his personal recollections, with contributions and correspondence from his close friends and colleagues, this book tells the lively story, not only of Brenner himself, but of what came to be known as the golden age of biology. About the author: Errol C. Friedberg, M.D., is the Senator Betty and Dr. Andy Andujar Distinguished Professor and Chair at the Department of Pathology, University of Texas Southwestern Medical Center at Dallas. A Fellow of the Royal College of Pathologists and recipient of the Rous Whipple Award from the American Society for Investigative Pathology, Friedberg also serves as Editor-in-Chief of the journal DNA Repair. Friedberg is the author of Cancer Answers, Correcting the Blueprint of Life: An Historical Account of the Discovery of DNA Repair Mechanisms, The Writing Life of James D. Watson, and From Rags to Riches: The Phenomenal Rise of The University of Texas Southwestern Medical Center at Dallas. He is also senior author of the textbook DNA Repair & Mutagenesis, and has edited and annotated a series of interviews published as Sydney Brenner: My Life in Science. Friedberg...offers a wonderful overview of the life of one of the most interesting scientists living today. The author finds the right tone for discussing Brenners scientific thoughts and discoveries: his descriptions of the science are basic enough that nonbiologists will understand the essence but not simplified too far.